Florida Indoor Air Quality Spolutions IAQS approaches each indoor environmental assessment as a NCHH Healthy Home Assessment or Healthy Home Assessment using a holistic approach and the National Center for Healthy Housing (NCHH) 7 Principals of Healthy Housing. Florida Indoor Air Quality Solutions IAQS Can Help You Establish the IAQ Health of your Home. What Is a Florida Indoor Air Quality Solutions IAQS Indoor Environmental Assessment? The IAQ Healthy Home Assessment is a complete Indoor Environment Diagnostic Assessment that includes the physical inspection of the homes building envelope, living space, HVAC system, and attic. Your homes indoor environment will be measured to establish the Indoor Air Quality (IAQ) with the HVAC system off (home at rest) and with the HVAC running (home active) this will help identify any issues affecting your home. A Florida Indoor Air Quality Solutions IAQS IAQ professional conducting a visual assessment of your home. Your home will be measured for volatile organic compounds-VOC’s, temperature, humidity, airborne particulates, carbon dioxide, carbon monoxide, formaldehyde, combustible gas. The measurements will be collected first with the home at rest and once again after the HVAC has been running for a minimum of 30 minuets. While the HVAC is running the Florida Indoor Air Quality Solutions Consultant will inspect the exterior of your home for any areasa of building envelpoe failure that may have a negative impact on the indoor environment such as roof and wall leaks, or insects and rodent access points. Florida Indoor Air Quality Solutions generates a IAQ Report for your that the IAQS professional will review with you. 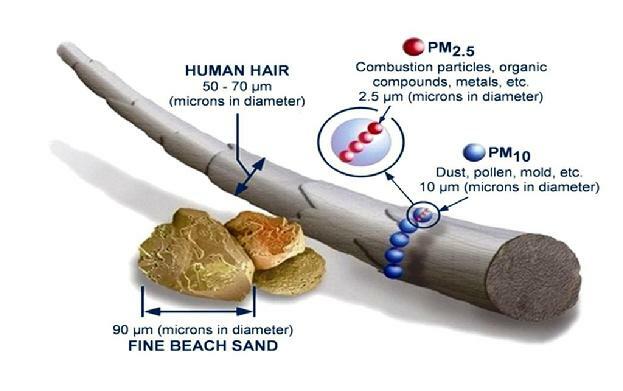 Particle Allergens such as dust, dirt and pet dander. Household products including: paints, paint strippers, and other solvents; wood preservatives; aerosol sprays; cleansers and disinfectants; moth repellents and air fresheners; stored fuels and automotive products; hobby supplies; dry-cleaned clothing. Your complete source for Indoor Air Quality. Who Should Get The IAQ Healthy Home Test? If you answer “Yes” to any of the following questions…. Do you have anyone living in the home suffering from allergies or asthma? Have you noticed odd or unpleasant odors? Is your heating or air conditioning system over ten years old? Do you have children under age 15 or people over age 65?